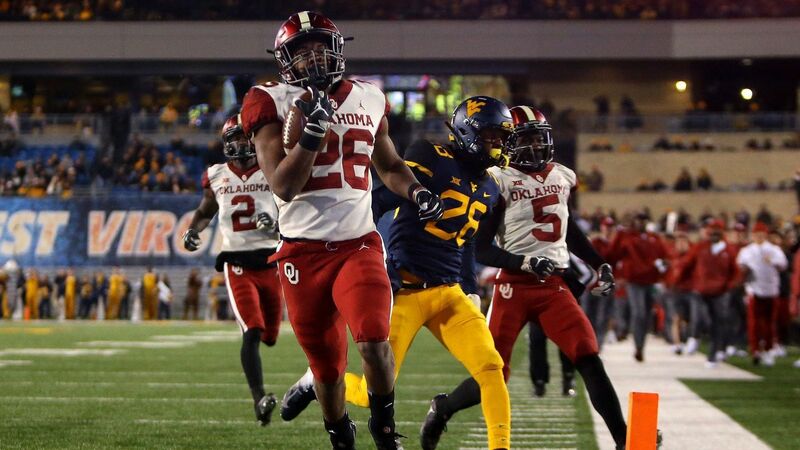 Coming into Friday’s game at West Virginia, Oklahoma knew that things were very simple for them in regards to their College Football Playoff hopes: win and you still have a chance. The #6 Sooners were facing the #13 Mountaineers, who had been eliminated from contention last weekend and were looking to spoil matters for the semi-finalists from last year. And they came oh so close to doing so in a dramatic 59-56 win on the road. The Sooners were led by QB Kyler Murray, who threw for three TD’s and 364 yards on 20 of 27 passing. But it was the Mountaineers’ QB that had the bigger game of the two. Murray did throw one interception, but Will Grier was nearly flawless. His 539 yards and four touchdowns kept his team in the game, but in the end it was just not enough as the Sooners scooted away just at the right time to get the win and set up a rematch with the Texas Longhorns in the Big 12 Conference Championship game. Another team looked to keep up their dream of reaching the final four fell on Friday night to their biggest rivals, and that was Washington State. The Cougars welcomed the Washington Huskies to town on a snowy night in the Apple Cup, and they ended up doing what they had to do to hand their hosts their second loss and knock them out of contention. The Huskies ended up doubling the total offense of the Cougars on the night, and won after they ran out to a 20-7 lead at one stage. A comeback of sorts to make it 21-15 had them rocking just a little, but a Myles Gaskin 80-yard TD run calmed all nerves and ended up giving us a 28-15 final score. Meanwhile, the much-anticipated “The Match” between Tiger Woods and Phil Mickelson took place on Friday afternoon, and it was a bit of a letdown for most. Neither man looked their best, especially on the putting green, and because of that the $9 million winner-take-all match was a little disappointing. It did have a couple of dramatic moments, though, with Tiger’s chip-in on the 17th to tie the match being a very memorable one. The Match did end up going into extra holes, four of them to be exact, but in the end it was Phil that came out the winner on the 22nd hole after finally making a putt he should have made.